While i was researching i noticed a new trend going nowadays, which i guess all of you might have also noticed, that making your own website and putting your innovation and stuff is becoming increasing popular within the young youth as well as professionals who have a strong grip at making and understanding software's. Well, it is a piece of cake for some of our friends but a really difficult one too for those friends who don't have that much knowledge and grip on these on line management software's and things. Well folks! simple solution to your problem, using "The cms" or "The Content Management Systems". What Are Content Management Systems?? Well, basically content management systems, or abbreviating it as "The cms" is a computer programm that allows you to publish, edit and modify your content on your website as well as maintanance from a central page. In short we can say that it is a software that allows you to manage your content easily on your website. Now, as i am talking about the ease of managining web content, first thing that comes to every mind is that how can one make his website stylish and attractive easily. So folks! I'll be referring to flash cms, the most basic thing you need to make your website and online stuff attractive, and with ease. Flash cms is basically a content management system spefically designed to create and manage Adobe Flash Content. It's main purpose is to generate flash content with ease within your browser environment. Through flash cms you can easily make, edit and manage your multimedia content on your website, but the output of this is that flash player is required. Here are some of the best flash cms in descending order that can be useful and helpful for you. Moto Flash Cms is one of the most leading Cms along with one of the most leading flash template provider. It is a powerful application that allows it's users to create, edit and manage their stuff regarding flash including all sort's of picture management. Moto cms is available as a standalone version along with template features( for professional and starters having no knowledge). You can purchase it in almost 200-250$. This cms requires PHP 5.2+ with Zend Optimizer 3.3+ to run. Royale Flash Cms is one of the best and leading cms created by freelancers and interactive agencies. Through this cms you can easily create structures that fit your design. Along with this you can easily manage your logos and business related issues on your website. You can purchase it for almost around 190$. It's system requirements include Apache 2 (or higher) with mod_rewrite, PHP 5.2 with GD library 2 (or higher) and MySQL 5.1 (or higher). fCms pro is by far the most powerful flash cms regarding the life span of your website. Through this cms you can easily update information regarding your offers to your customers as you can easily do it through this cms. Through this you can also add and delete pages easily. This cms costs around 300$(per site). It's system requirements include Adobe/Macromedia Flash 8 or Flash CS3+, Flash Player 8, 9 or 10, ActionScript 2.0, PHP version 4.3.0 or higher and MySQL 4.1.1 or higher. Yooba flash cms is one of the most easy cms on which you can work. And with this is the most easy and convenient tools to develop flash based websites. So, It's the most easy as far as it's working is concerned. And yes, the most interesting thing in this cms is that you need not to be a skilled professional or an expert, you can easily work on it without being a programmer! Flash Block flash cms is also a simple and exclusive cms and can easily used for the development, editing and maintaining of your web content. Apart from these, it has an additional feature that it can be used from any browser. You can purchase it at a cost of around 245$. It's system requirements include Flash MX, 8, CS3, CS4 or CS5, ActionScript 2.0 and PHP 4-6 on the server and GD2.0 for image processing. Flypaper Flash Cms is also simple cms and can easily be used by people who don't have the skill or grip at online management. It is a simple cms through which one can create, edit and manage his web content being non-technical. It's system requirements include Windows 7, Windows Vista or Windows XP (Service Pack 2 and above), 1GHz Pentium processor or higher (2GHz, dual core processor recommended), 2 GB of RAM (4 GB recommended), Adobe Flash Player version 9.0.115.0 or later and Microsoft .NET Framework 3.5 SP1. Now folks! these requirements aren't that complicated and are just simple ones, which means that you can easily use them with any system. Flint flash cms is yet another easy to use and user friendly cms and through this cms you can easily make your stuff easily. It looks as a simple and basic cms and is mainly used for maintaining catalogue and editorial stuff. It's system requirements are by far the most simple ones that include php server and plugin. Maki flash cms is basically a type of cms through which you can form a website of your's easily as for this work this is the best. Along with this it also allows you the ease and accessibility to their inbuilt default templates and galleries that make your work even more easy! This is yet again a very simple cms used for maintaining images and pictures for your websites offline too. Yes folks! you can update it live! It also doesn't require a very large or complex system requirement and it includes PHP enabled server and GD extension in PHP. Well folks! 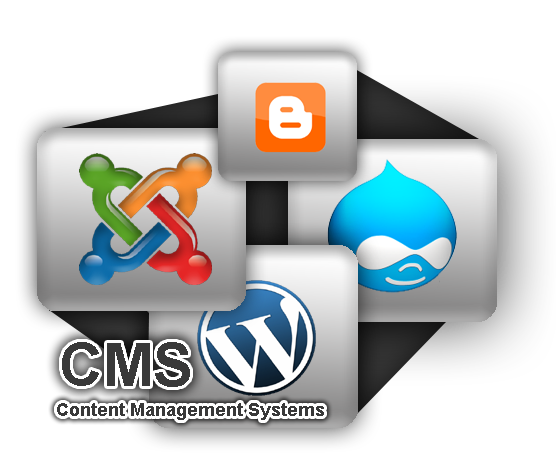 these were some of the best flash Cms that can help and facilitate you while managing your websites and web contents. Positive comments are appreciated.